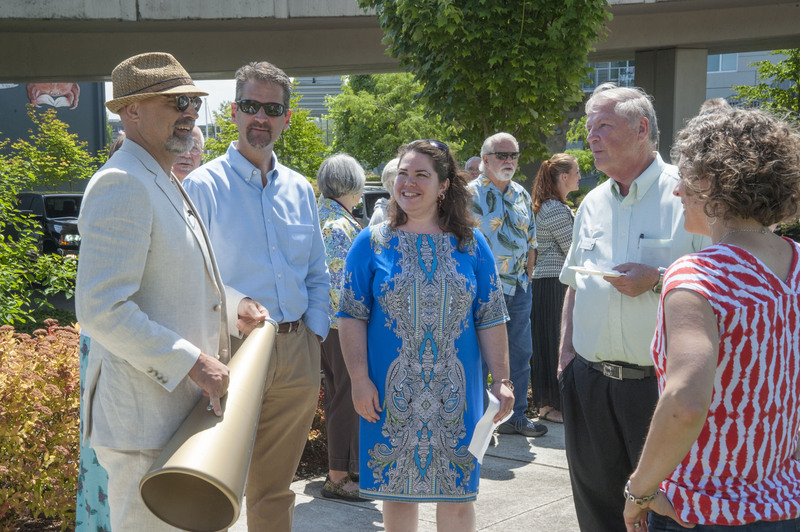 On June 25, About 40 community members from Tacoma and beyond gathered at the pocket park at S. 15th and Dock Street to welcome the return of Thomas Morandi’s Sun King sculpture to the public realm. Photographer Dane Gregory Meyer captured the event through the following photo essay. 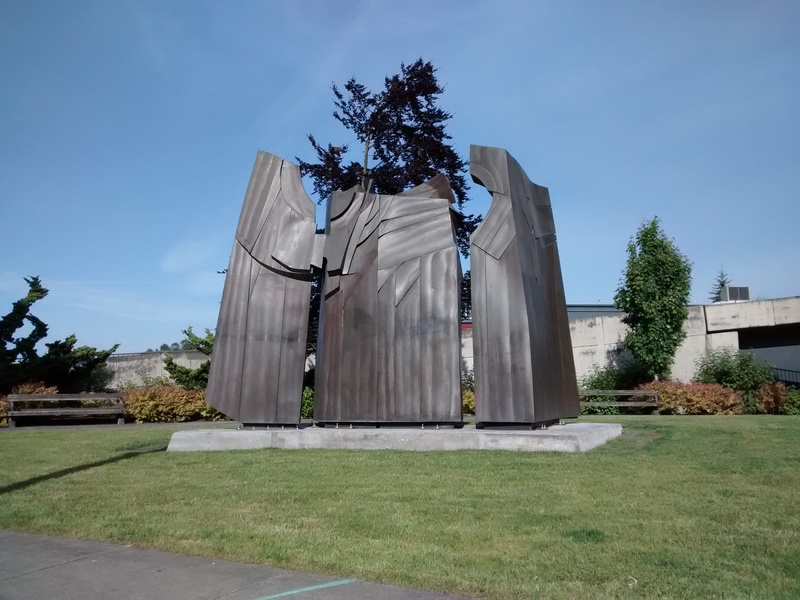 The monumental-scale public art sculpture, part of the City of Tacoma’s Municipal Art Collection, was originally installed in 1977 in front of what is now the Hotel Murano. The piece was moved into storage in 2007 while it underwent repairs and awaited its new permanent location. 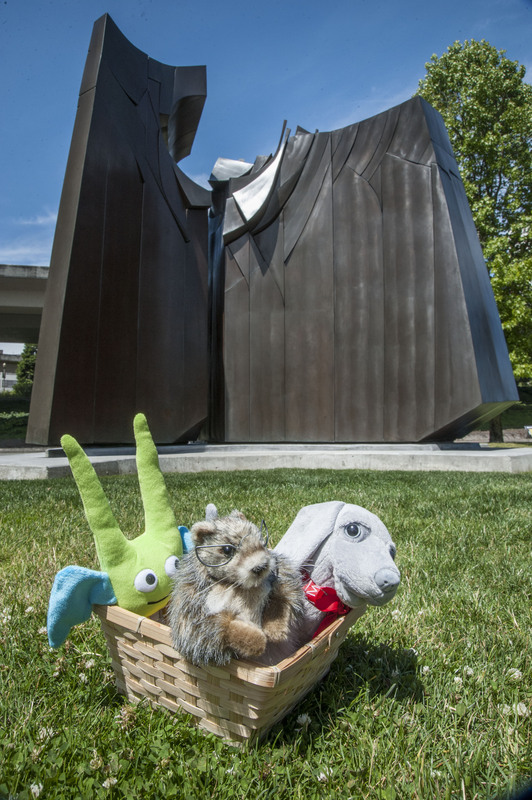 Mascots from Museum of Glass, Washington State History Museum, and Tacoma Art Museum came out to celebrate the Sun King. 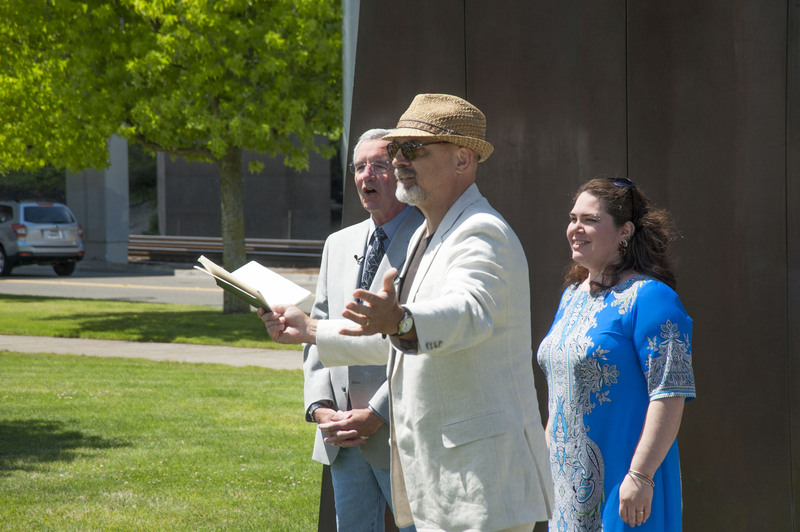 Council Member David Boe and Tacoma Arts Commission members Scott Ramsey, Traci Kelly, and Don Lacky gathered before the dedication. 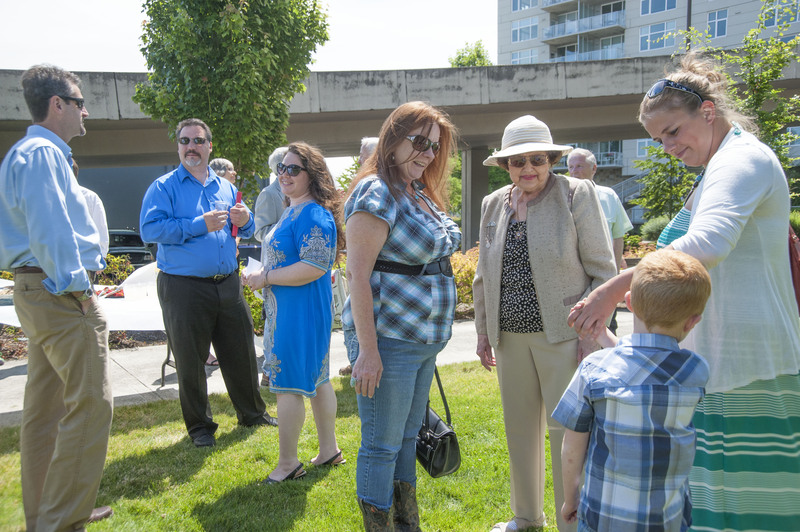 Community members gathered in celebration of the artist, Thomas Morandi, and his artwork, Sun King. The monumental-scale Sun King provided the focal point and backdrop for those who came out to celebrate. Council Member David Boe led the crowd while chanting the lyrics to Sun King by The Beattles. 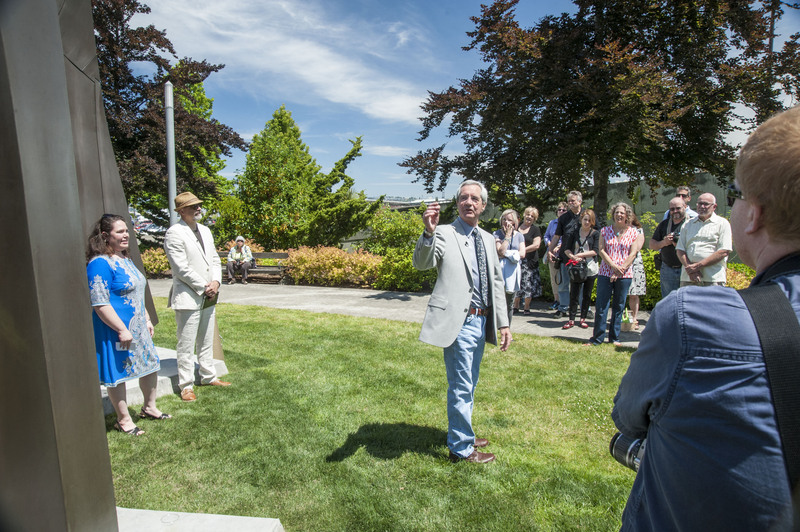 Artist Thomas Morandi spoke about the changes in Tacoma from the time he created the artwork in 1977 to today. 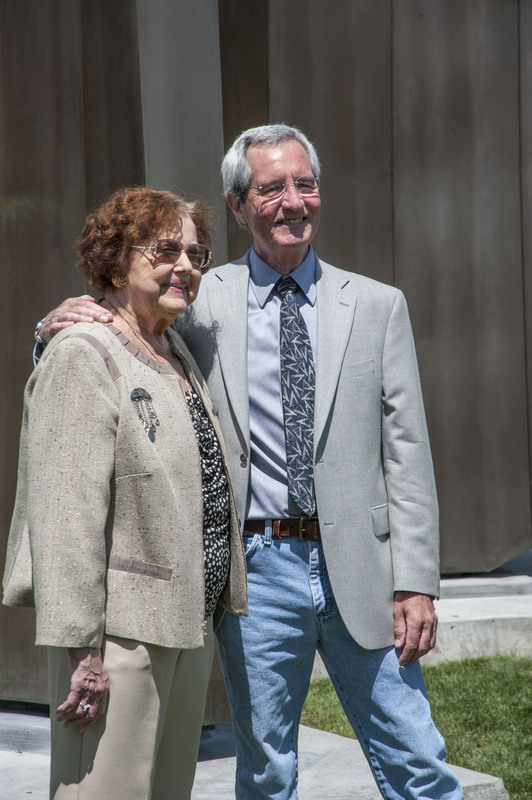 Artist Thomas Morandi and former arts administrator Ellida Lathrop posed in front of the artwork they brought to Tacoma in 1977. 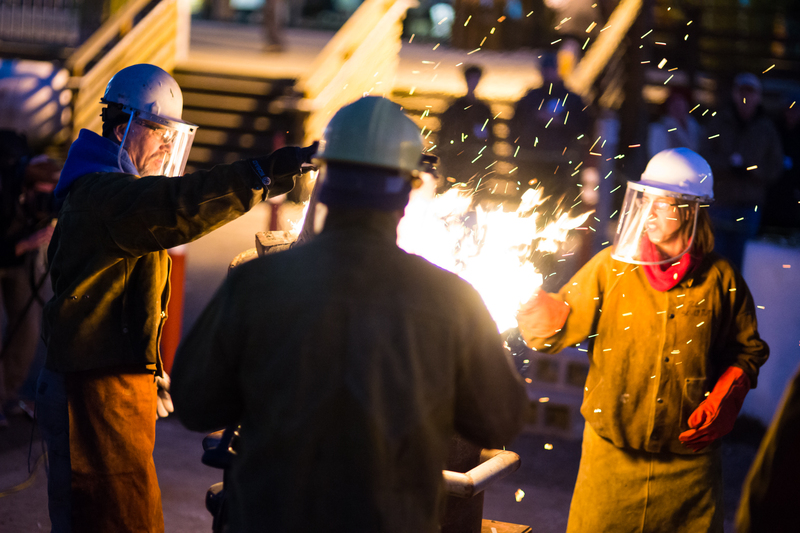 Tacoma Community College’s sculpture program performs a live molten iron pour as part of Tacoma Arts Month in 2013. Will you be hosting an arts event in October? Do you want to contribute to the arts programming offered in Tacoma, build community, and benefit from free publicity? Submit your arts activity for inclusion in the 2014 Tacoma Arts Month online calendar! Mary Ashton’s Shrinkage II. Photo: courtesy of Mary Ashton. 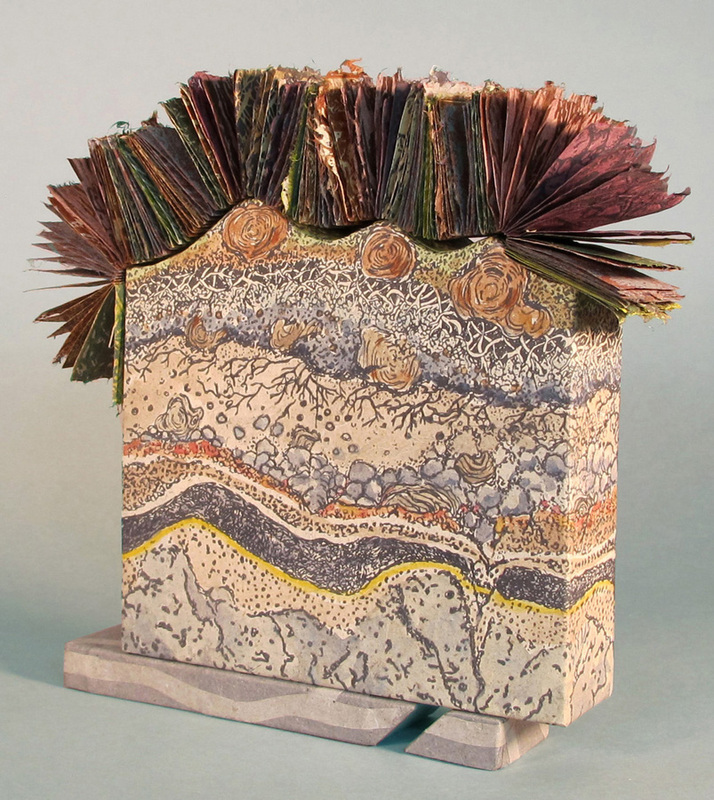 The evening of June 5th, 2014 marked the opening reception for the 4th Annual Puget Sound Book Artists Members Exhibition, featuring 57 extraordinary handmade books created by 39 artists from Puget Sound and beyond. Held annually at Collins Memorial Library on the University of Puget Sound campus, the exhibition represents the growing diversity of ideas constantly challenging the question; what is a book? 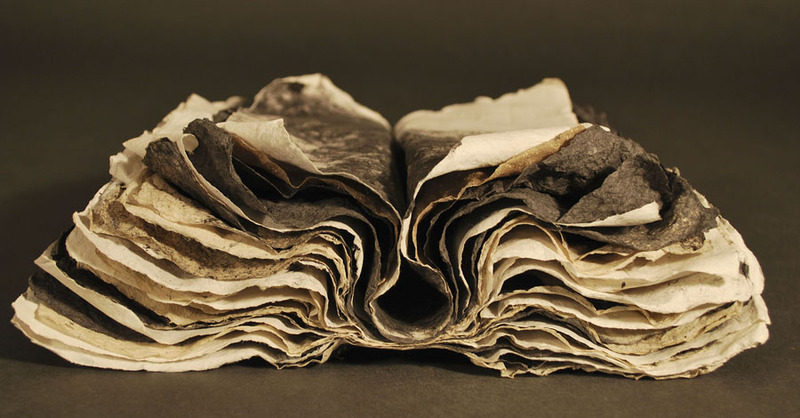 In this exhibition, using various media ranging from photography, printmaking, drawing, painting, calligraphy, and digital means, and employing a variety of materials including wood, handmade paper, fabric, and cordage, the members of the Puget Sound Book Artists strive to answer that question. Forest Floor. Photo: courtesy of Lucia Harrison. 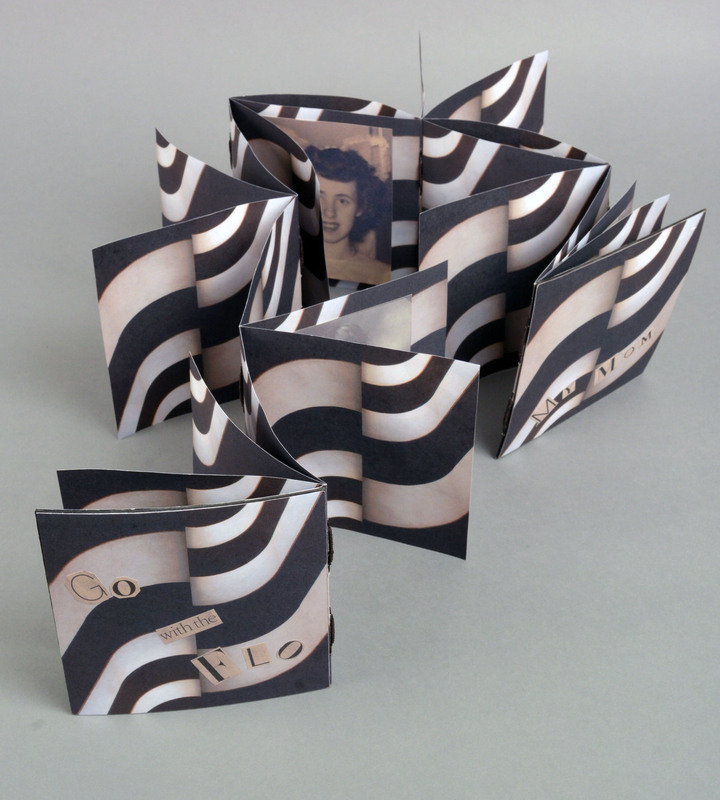 The exhibition demonstrates that, like other artists, book artists are not limited to boundaries imposed on them by “rules.” This opens up endless possibilities in regards to the book form and even the materials used in making the book. The term “altered states” comes to mind. Keep in mind, while working together towards one goal, the artists whose work grace this exhibition are as diverse as the work they create. No two interpretations are alike, just as not two artists are alike. Remember, I said “endless possibilities?” From the complex layers of Mary Ashton’s Shrinkage II, to Lucia Harrison, recipient of the exhibition’s Award for Excellence for Old Growth: Beneath the Forest Floor, the exhibition tests our expectations of what a book is. As you stroll through the exhibition, You may find yourself wishing you could reach through the glass to pick up the book. On the evening of June 19th, 5:30-7:30pm you may have your opportunity during the Conversation with the artists when the works are taken out from beneath the glass. You will have a first-hand opportunity to understand how these books came to be, and to hear from the artists themselves about their vision. Lily Richmond: Go With The Flow. Photo: courtesy of Ross Mulhausen. The Puget Sound Book Artists is a non-profit organization comprised of over 60 members from Puget Sound and beyond, with a growing membership from other states. Recipient of the 2013 AMOCAT Arts Award, the organization’s mission is to further the knowledge, practice and understanding of the art of the book by means of educational activities including but not limited to lectures, workshops, and exhibits. For additional information about the exhibition, the award recipients, and the opening reception, visit the Puget Sound Book Artists’ blog. To inquire about membership or any other questions, you may contact them at psba@gmail.com. 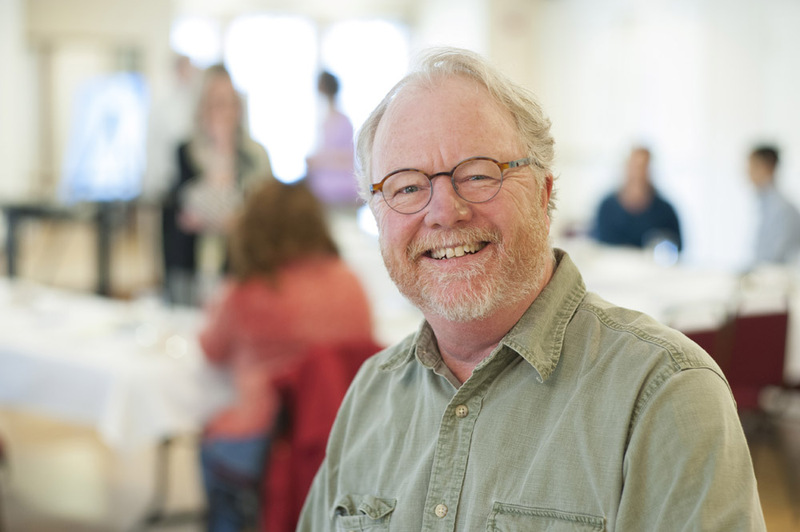 This blog post was written by Mark Hoppmann, a 2011 Tacoma Artists Initiative Program funding recipient and current President of the Puget Sound Book Artists. 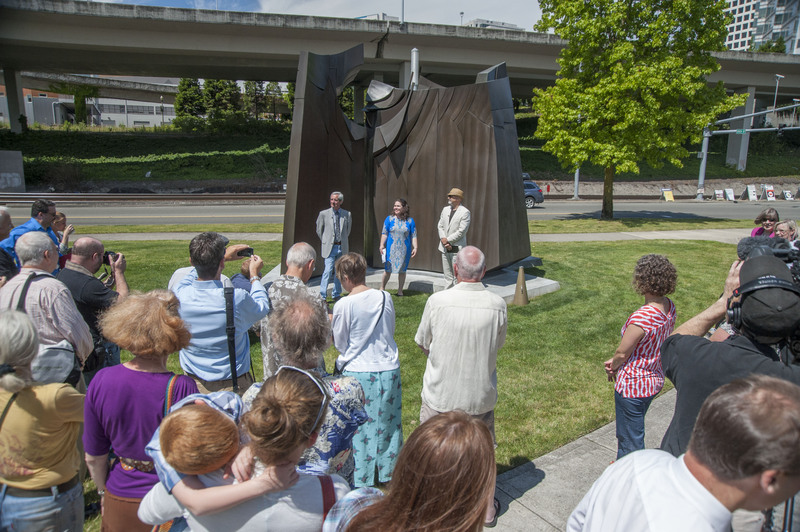 The public is invited to celebrate the reinstallation of “Sun King” by Thomas Morandi, one of Tacoma’s most prominent pieces of public art, on June 25, from noon – 1 p.m, at the park on the intersection of South 15th and Dock streets along the Thea Foss Waterway. Morandi will be present at this event, along with Council Member David Boe and members of the Tacoma Arts Commission.